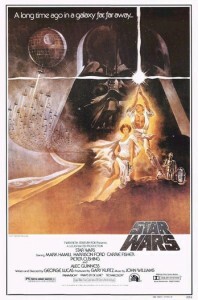 The motion picture Star Wars is released in thirty-two US theaters. The film will immediately break records unlike any before it, essentially becoming the first blockbuster in history. The film’s unprecedented use of special effects sparked a revolution of movies using technology-based visual effects. Perhaps the film’s greatest contribution to technology was the creation two years earlier of the company Industrial Light and Magic, which is still the leading special effects house in the industry.